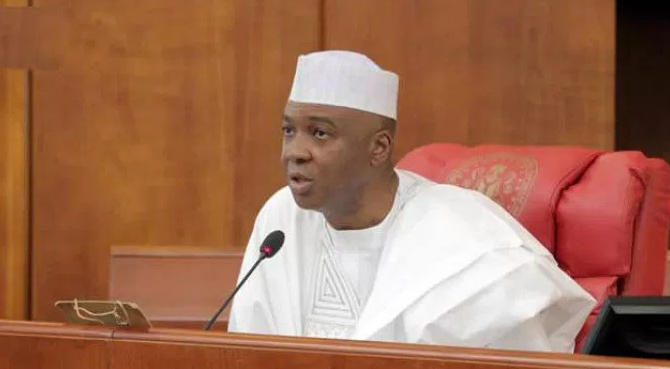 Senate President Bukola Saraki has responded to allegations levelled against him by suspects arrested in connection with the deadly Offa bank robbery. Four banks were hit by the robbers and 33 persons were killed in the process. The Senate President said he sent his written response to the police on Thursday, four days after the police invited him to react to questions based on claims by the suspects. According to the police, five gang leaders claimed that they were political thugs of the Senate President and the Governor of Kwara State, Abdulfatah Ahmed. The Senate President and the Governor separately denied having any links with criminals shortly after the news broke. Amid the controversy that surrounded the decision to invite the Senate President, the police withdrew the invite on Monday and asked him to, instead, respond to the allegations in writing. The development was another twist in the fractured relationship between the Senate and the Inspector-General of Police, Ibrahim Idris, who had previously failed to personally honour invites by the lawmakers. It also led to further friction between the legislature and the executive and on Tuesday, the National Assembly upheld an earlier no-confidence vote passed on the IGP and 11 other resolutions. The lawmakers warned the executive against the persecution of perceived political foes and insisted that the President must take responsibility for the actions of his appointees. They also threatened to invoke their constitutional powers if their resolutions were ignored. A day later, the police revealed that two more suspects had indicted the Senate President and called on him to send in his response. The police have neither confirmed receipt of the letter nor revealed what the next steps will be.